For centuries artists, diplomats, and merchants served as cultural intermediaries in the Mediterranean. Stationed in port cities and other entrepôts of the Mediterranean, these go-betweens forged intercultural connections even as they negotiated and sometimes promoted cultural misunderstandings. They also moved objects of all kinds across time and space. 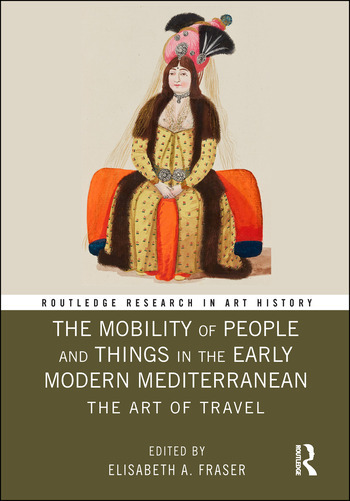 Focusing on the period from the late-sixteenth to mid-nineteenth century, this volume considers how the mobility of art and material culture is intertwined with diplomatic, political, and trade networks in the international arena of the greater Mediterranean. Contributors see the movement of people and objects as transformational, emphasizing the trajectory of objects over single points of origin, multiplicity over unity, and mutability over stasis. Elisabeth A. Fraser is Professor of Art History at the University of South Florida, Tampa, USA.